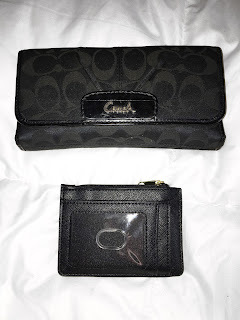 Downsizing: A small purse at last! This year I did something I haven’t done ever. 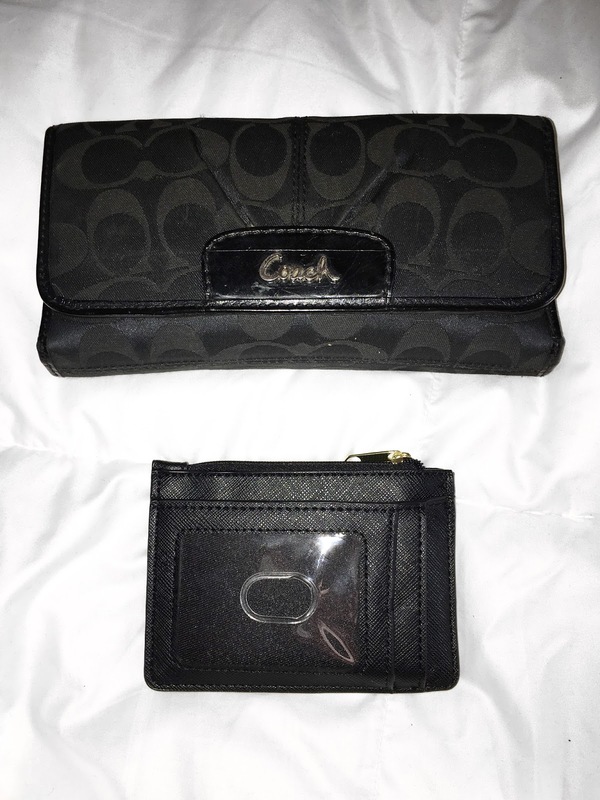 I made the switch from a large purse and a large Wallet to a small purse and a small wallet. Okay back up...FIRST of all, I am not the type of woman to have multiple purses for multiple occasions. I know it’s probably a fashion nightmare, but I only have ONE purse. Since I was in high school I always carried big handbags. I always had to have a checkbook sized wallet and carried my DSLR camera with me most days, in addition to my makeup bag. When it was all said and done, I was carrying around tons of stuff every day and needed tons of space for it. Then I had my children. Then I went from carrying a big purse to a huge (adorable pink Coach) diaper bag AND a large purse. I carried large purses around forever. They always come in handy on family trips because I could fit everything we needed in there. But the drawback to having a big purse is that carrying it for long periods of time would really start to hurt my neck and shoulder. As my girls grew older my purse became significantly lighter. I only had to carry a couple of things for the girls to get through the day. So here we are now: my girls are 8 and 5 and I don’t have a ton of stuff anymore. I don’t have to carry my DSLR camera around everywhere anymore because I can get a decent photo with my iPhone. I naturally have started carrying less over the years but I still had a large purse. A couple of years ago I ditched my Coach bag for a black Kate Spade tote bag. It was a good price and it was simple and Black so I brought it home and made it my own. It didn’t last long, though. The straps began to wear within the first year or so which I suppose is considered normal wear and tear. When it was time to get a new bag I decided to ditch the large bags and for once in my life try a small one. I decided that I wasn’t going to get a huge name brand purse, but this time some thing from Target, something small. I found this cute little pleather bag at target for like $22 and I figured it was small enough and cute enough for me so I snatched it up. It felt so amazing having a small purse!!!! I don’t know how to explain it but it felt really good to downsize and put the large bags away. I only keep essentials in there and it’s comfortable to carry. The pockets on the front are perfect for storing small things like my headphones and phone charger. The inside however wasn’t big enough for my wallet. For the first couple of months with the purse I constantly had to struggle to get the wallet in there every time I went shopping and it was lame. So then I decided to downsize my wallet. I didn’t have a checkbook, so why in the heck do I even need a huge checkbook wallet right?? I really do only use maybe like 5 or 6 cards total. this includes my ID and credit/debit cards as well as store cards like Costco. I found the perfect wallet at Target for only SIX bucks! This was so exciting! It is super small as you can see it has window in the front for my ID so I don’t have to take it out to present it to people and it has just enough room for my cards and cash. Now I feel like I don’t have enough stuff in my purse! And I love it. Is much more minimalist and I wish I made the switch sooner. I feel so much better since starting this minimalist lifestyle! Anyway talk soon!